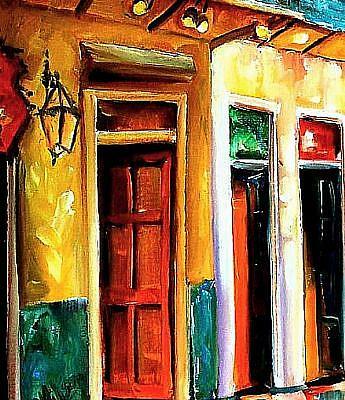 Neon signs dance and shimmer on old Bourbon Street in this large original oil painting. Painted in a modern impressionist style, this painting captures all the architectural details which are unique to New Orleans. No framing is required. (The edges of the 1" deep canvas are also painted, and a picture wire kit is included.) 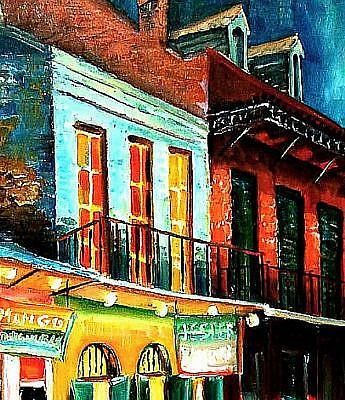 This is a one-of-a -kind- work, and a certificate of authenticity will be enclosed. 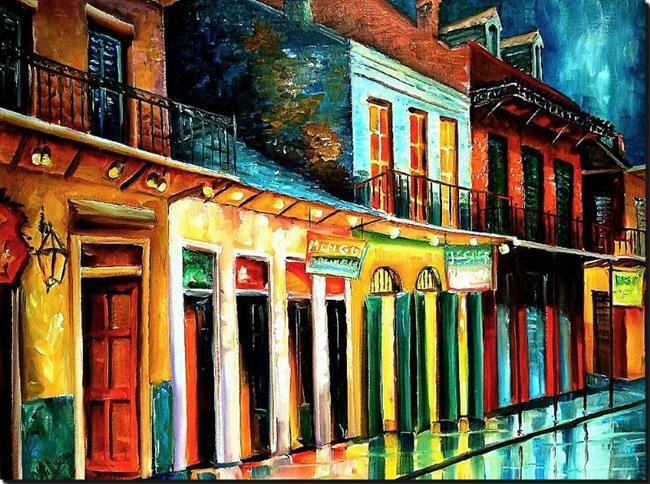 Many of Diane's New Orleans' scenes are in print, and this is an opportunity to own an original.